La caffettiera (also called moka) has a security valve on its side for letting out steam if the normal route (upwards through the grinded coffee) is blocked. I’ve never heard about these little tools exploding! I personally over the years destroyed several caffettiere forgetting them over the gas but they simply melted (the plastic or rubber parts). Oops, I guess it’s GROUND coffee. Hope you are healing well and doing better! Thank goodness your husband was there to help you! Take care and have a very Happy New Year! May God Bless! Oh dear, I felt bad ‘liking’ this post! I actually squirmed while reading it (I speak ok Spanish so I understood most of the exchanges). Hope you heal soon – natural, weird remedies are the best. LOL, thanks, actually it’s the exact same remedy I was recommended when my dog bit me, so I think it’s kind of a panacea and you should try it maybe? Great story! I had a spill when I had lived in China about a year and a half where I did a face plant in front of half a dozen people and almost broke my wrist. The difference – no one offered to help me! Glad to know you are on the mend. No one offered to help you? Why is that you think? Cultural differences? Yes, most likely. Chinese people will do anything for family and friends and pretty much nothing for those they don’t know. I think it may be a coping mechanism left over from the cultural revolutions. The security guards and onlookers obviously didn’t consider me part of an inner circle. They likely wouldn’t have helped a Chinese person either. 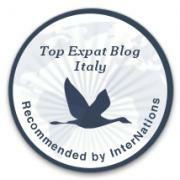 Nice blog, sorry that you had the accident with the bialetti – I know this term from my Sardinians but also caffettiera and moca. I have several of them at home and they look more or less like the one in the picture. I tried to clean one in the dishwasher once – don’t do it, that’s my advice. BTW I know bialetti only for this shape of coffeemaker, it is also written on the box when you buy it. Omg, gin and lemon juice, that must have hurt more than the bite! Ugh, the same thing happened to me but it wasn’t that bad. And happened to me in my house in India (I have Italians in our family). At first, I only made coffee that way till it fell off the stove and nearly started a forest fire. They use yoghurt here though to cool the burns. I was sorry to hear about your burn. Good to hear your improving with the Sardinian remedies. My mom is Sardinian and when I was a child and had a cold my grandfather would make me a coffee drink with egg and whiskey. While it could have been the liquor, of course, I ALWAYS felt better. I wish my mom (she is 86, family from Bono (Marrosu) knew how to make this medicinal drink. I think your readers would love to hear about other Sardinian remedies, especially the potions of the Sardinian “witches.” There has been a long standing rumor that my grandmother was trained as one as a girl in Sardinia. As a new born she put a coral bracelet on me to ward off the Malocio evil eye. Keep up the good work. Your stories are always very compelling! Steve Miller. I had one of those, they’re called “Bialetti”, explode on the stove while I was sitting on the toilet enjoying some relax time….I bought an espresso machine since, they don’t explode I hope!!!! Ow-ow-ow-ow-ow! Had that happened to me the new words any within hearing would have picked up would not have been repeatable! Oh, I did say those words! I am so happy to hear that you are on the mend form your terrible experience. When I was a child growing up in Connecticut, I was riding my bike and slipped on some heavy road gravel and went toppling down right on my wrist. I hobbled home and my wrist was so very swollen. My Uncle Patsy (A Sard naturally) had just come home from work and he immediately washed my wrist of all of the dirt and gravel. He warmed olive oil and rubbed my wrist and proceeded making an beaten egg white concoction and put it all over my wrist and wrapped it very tight with gauze. It totally secured the wrist, no moving it! The next morning I went to school, the school nurse use to check all of the students. When she came to me she asked what doctor cast my wrist for it was an amazing cast, I told her that it was not our family doctor but my uncle! The wrist healed wonderful! Yes the Sards even brought their home remedies to the US for all of us! I still use many of my parents and his methods today and they still work wonders! I’ve heard this little coffee-maker referred to as ‘una caffetteria’ in many parts of Italy, Jen: it’s not just a Sardinian term. From personal experience I remember how difficult it can be on a gas stovetop to get them perfectly balanced: is your stove not specifically Italian, maybe? Still, you’ll be far better off when your electric machine is fixed: I had recently to spend four days with my Gaggia and nearly went bonkers! I did ask in an expat Italian group and a lot of the main-landers know it as La Moka. I guess every town has their own terminology. 🙂 I need to buy the metal thingy that goes under la caffetteria to prevent further burns. I had a serious motorcycle accident near Tempio Pausania coming off Mte Limbara in 1972. A helicopter landed in the soccer field 3 days later to take me away. the stands were full as it was the first time anyone remembers seeing a helicopter there. I was given up for dead by the locals; when I returned 6 months later I was proclaimed to be a ghost. I left Sardegna in June of 73 but have full intentions to return either this summer or next on a different motorcycle. I am sure the old timers in the town will remember the incident. I’m sure the oldies in town will remember that accident if a helicopter was involved. Whereabouts did you live? I’m up in the north. I’ve had run-ins with my moka as well, but nothing quite that bad. I have also had problems with boiling pasta water, gas leaks, badly wired electric sockets and failed stairway railings. Loved this post and so sorry for your leg!! Ouch. Just yesterday I went to the dermatologist to remove a wart on my finger. Instead of freezing it off he numbed my finger and cut the wart out..gross. I now have a hole in my finger, and maybe a scar in the near future. After staring into this hole I became really faint and almost hit the ground. The good news is I learned the word for wart: verruca, to faint: sventare, and scar: cicatrice! I enjoy your blog! Thank you! I can’t believe he cut out the wart! I would have fainted too, yuck! Homeopathy taught me the same theory, treat like with like. I have this same coffee maker! Be careful lady, it’s deadly. I’ve even heard that they can explode. How are you these days? a painful way to learn Italian but love the story!